Situated near the western end of Cornwall, the town has wonderful sandy beaches and dunes. 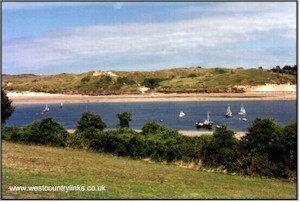 It has a main line railway station and local sites of interest are Paradise Park Wildlife Sanctuary, Hayle Towans (a natural grassy duneland with a variety of unusual flora and fauna) and the Hayle Estuary. A dog ban is in place on Hayle Towans beach ( from Hayle River to Black Cliffs) between Easter and October.